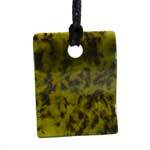 A wonderful Contemporary piece of Inanga Greenstone greenstone from the Hokitika area of the south island of New Zealand. 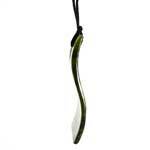 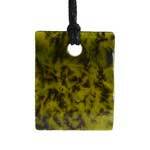 This pendant is a Contemporary piece in the shape of a wave. 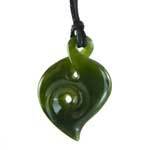 It is inspired by the ocean off the west ocast of New Zealand, always in motion. 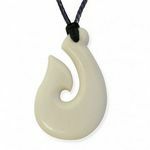 This piece is a one off unique piece and has it's own individual code to trace it's authenticity and will not be available again. 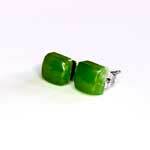 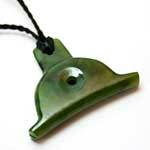 The piece measures 47mm (1.85 inches) long by 38mm (1.5 inch) wide. 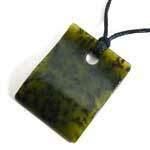 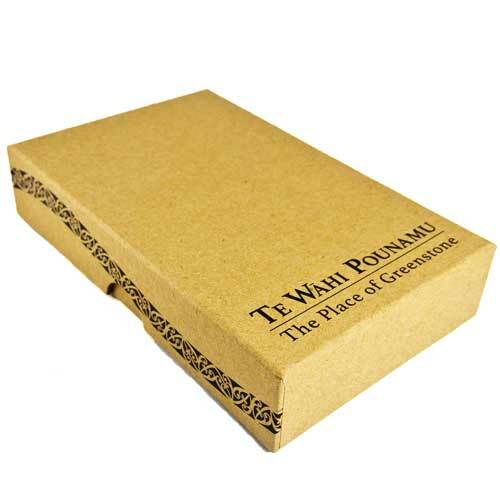 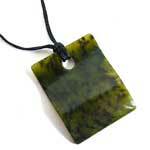 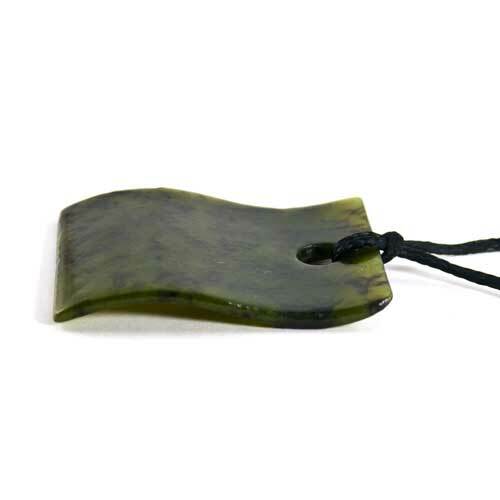 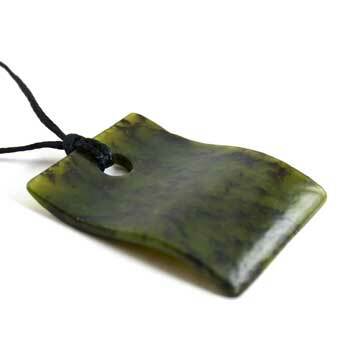 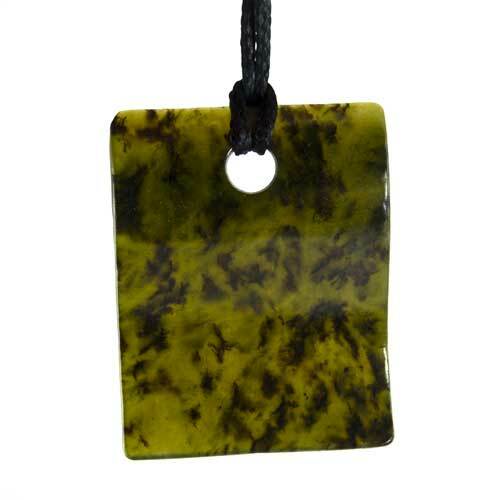 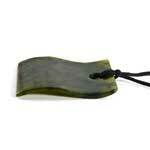 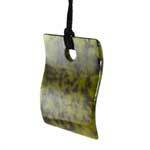 It comes with a black adjustable cord, attractive Te Wahi Pounamu Gift box, a unique code to trace your greenstones authenticity online and meaning card.